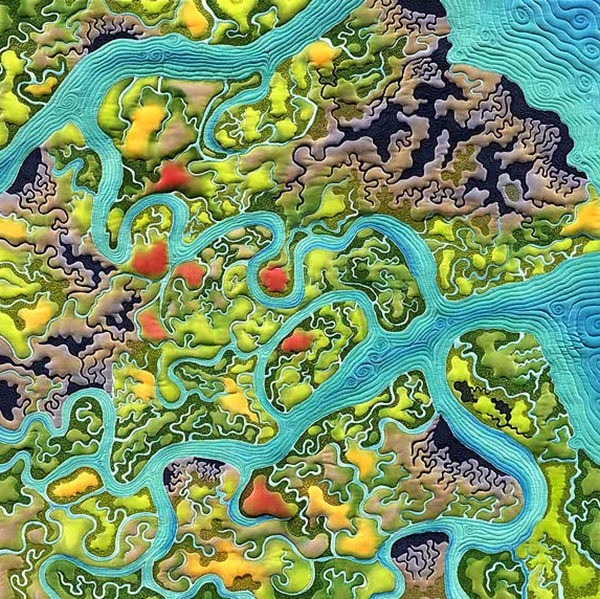 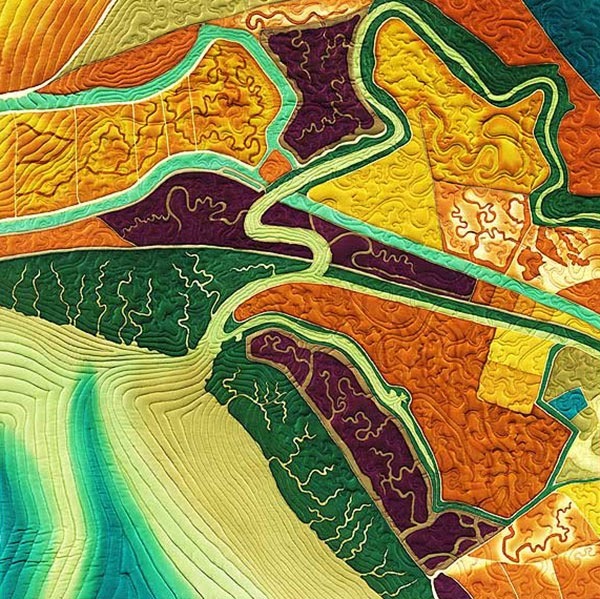 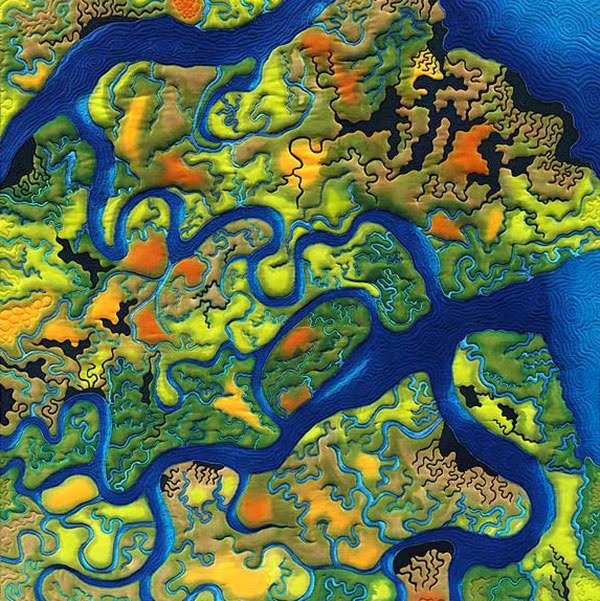 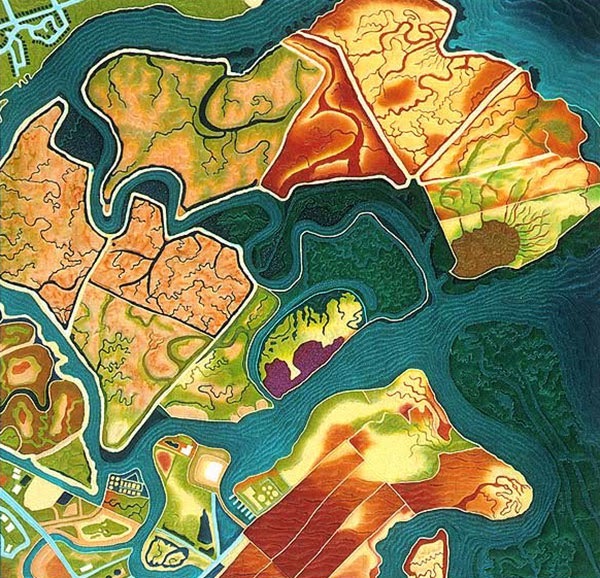 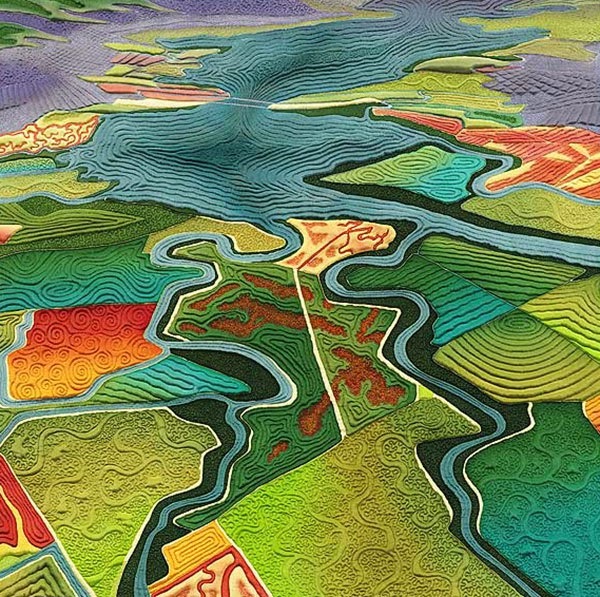 Colorful quilts based on aerial photographs of salt ponds and wetlands of the San Francisco Bay Area. 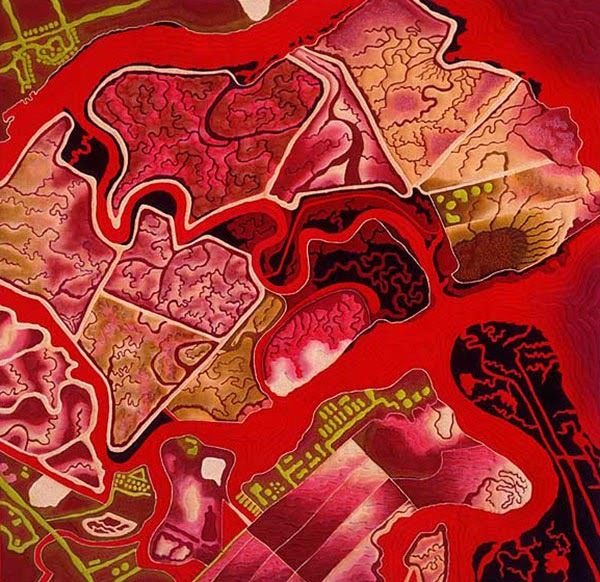 I explore land use and water issues in the American West through my artwork. 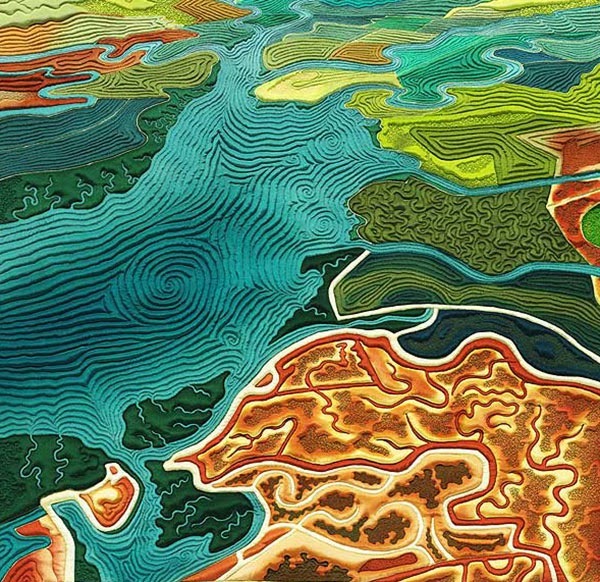 I blend painting and textile techniques to create highly textured aerial landscapes showing the human marks on the land that affect our water resources in some way, ranging from water scarcity to water quality. 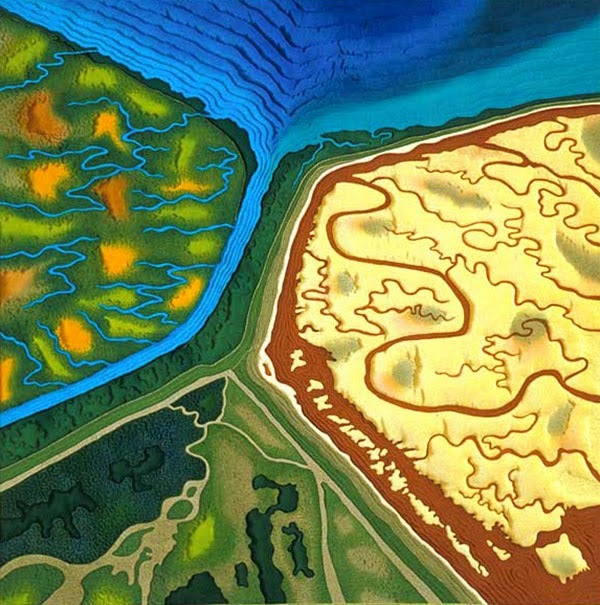 Each work is inspired and informed by the landscape, history of the site, maps and aerial photographs.